I love Halloween! It's, like, the only holiday where you can have a party and aren't expected to spend time with your family. And you get to wear a costume, which I love. Unfortunately, I don't have many Halloween decorations. Perhaps other people would like to make some too. I know, my setup is very Halloween-y. 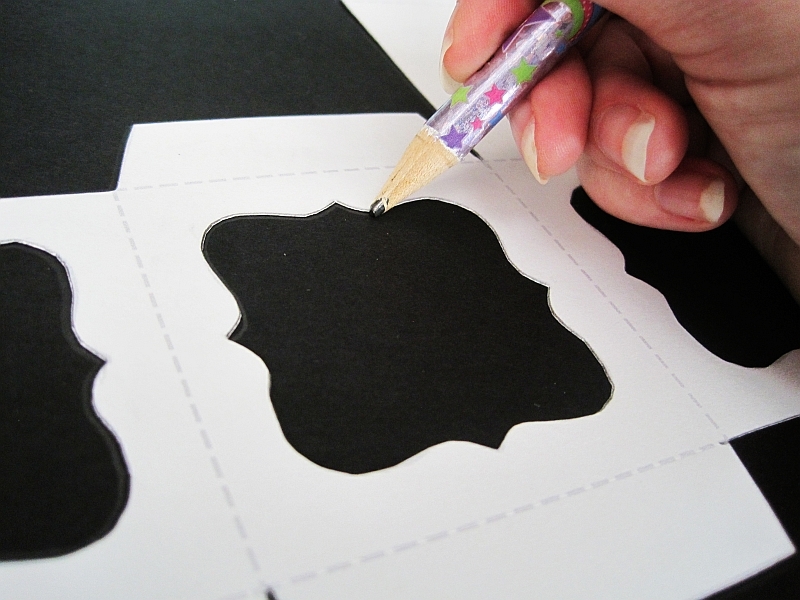 Print the pattern, cut it out, and trace it onto the black cardstock. I used white cardstock so that (a) the stencil would be sturdy, and (b) I can use the stencil to make another lantern when I'm done. Cut it out. A sharp exacto blade will make all the difference here. 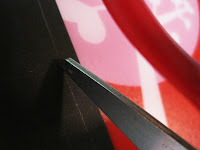 If your blade doesn't cut the paper with little effort from you, do yourself a favor and buy some new blades. Score the fold lines. Score the fold lines. Really, it'll make the folds cleaner and easier. Find some images for your vellum windows. You're going to want to shrink and crop them down to 2"x2". 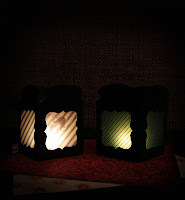 Karen's Whimsy, The Graphics Fairy, and Google Images are all good places to find graphics for your lanterns. You can also download the images I used for my lanterns here. The file is in Microsoft Word format to (hopefully) make it easier to drop in your own images. 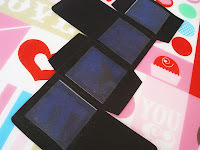 The images are from a scrapbooking collection entitled Ravenhead Manor. 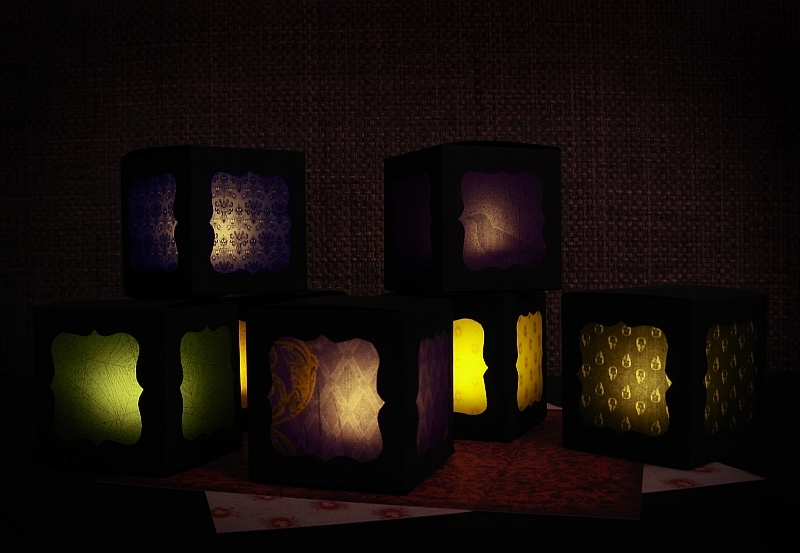 Anyway, print them out, cut them up, and glue them to the inside of the lantern windows. 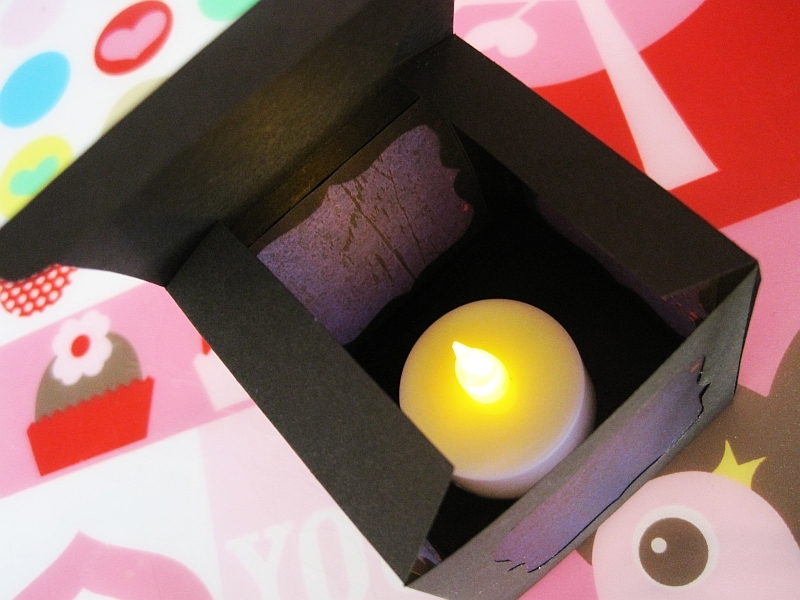 Fold it up, glue the tabs, and drop in one of those battery-operated tea light candles. Close the top and it's done! Alternatively, you can make an open-top version that can hold a real tea light candle. 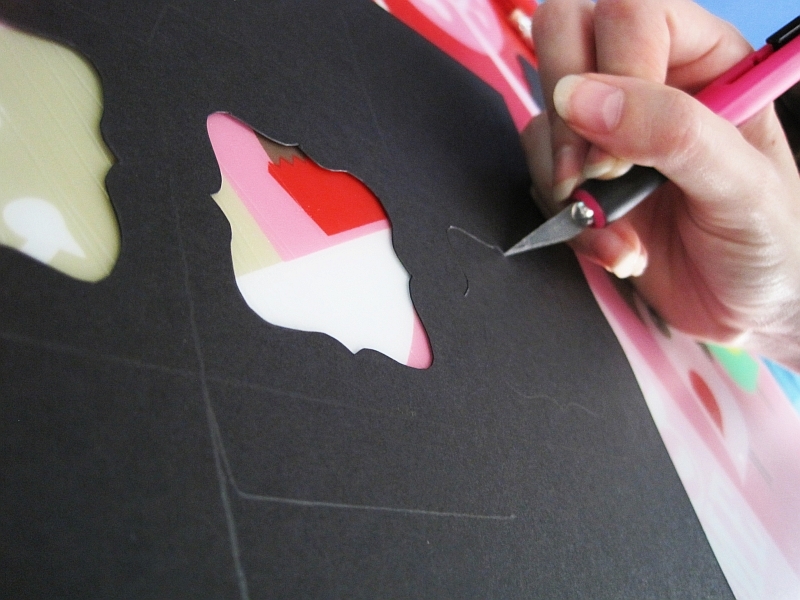 Though keep in mind that you're putting a flame inside paper, so don't leave them unattended. You can get the open-top pattern here. 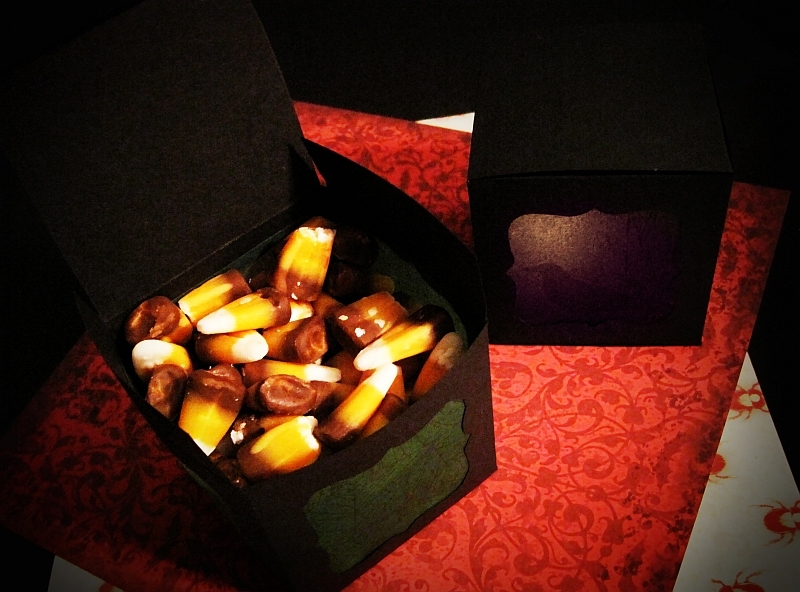 Or, if you are feeling so inclined, you can fill it with treats! Wow! These are absolutely adorable! I am going to have to try and make them with my nieces this weekend. They would love them! Oh my goodness! these are super fun and adorable! thanks for sharing. I just put them around my house; they look totally pimp. girl i wish i had your talent! I found you on 20 Something Bloggers! Yes! 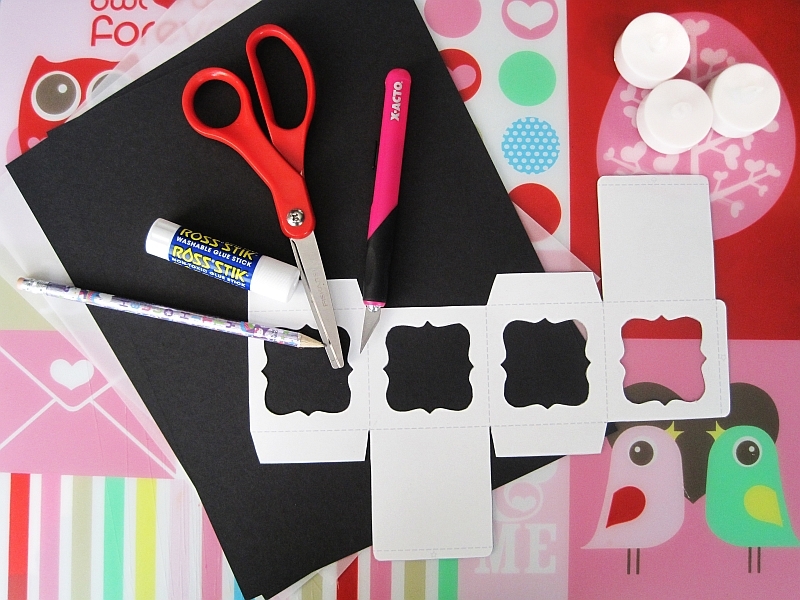 Never underestimate the power of crafty goodness. Hopefully my computer will be officially fixed tomorrow; I miss 20sb.